Hello all— For today please enjoy this little “apt transposal” puzzle that the elephants have come up with. (Solution available through the link below the puzzle.) 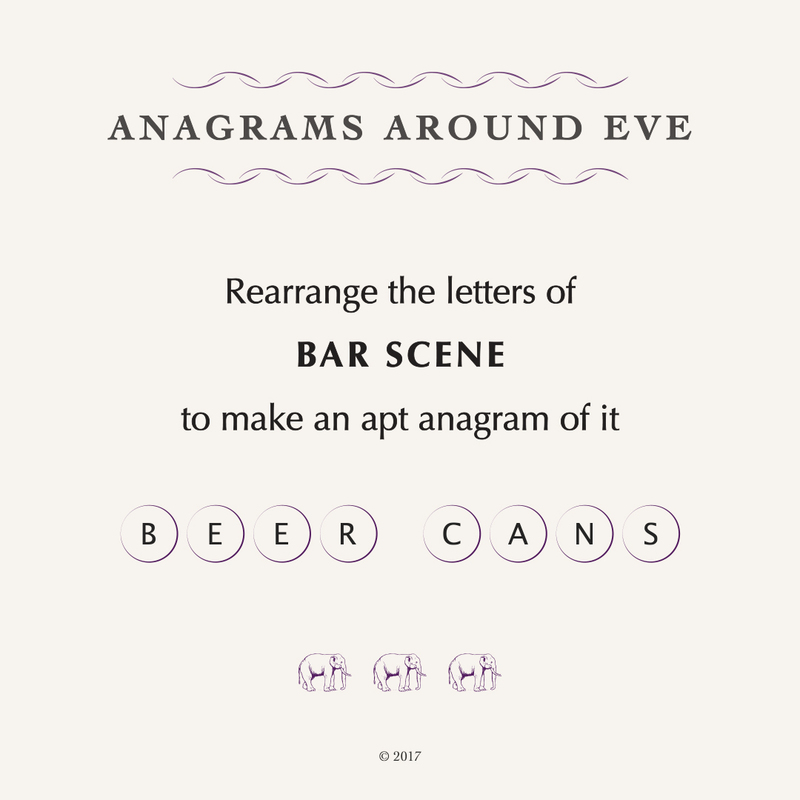 And then please look forward to a special week of guest puzzles contributed by five of the most brilliant solvers at Anagrams Around Eve. Check out their amusing and bemusing handiwork beginning on Monday morning! 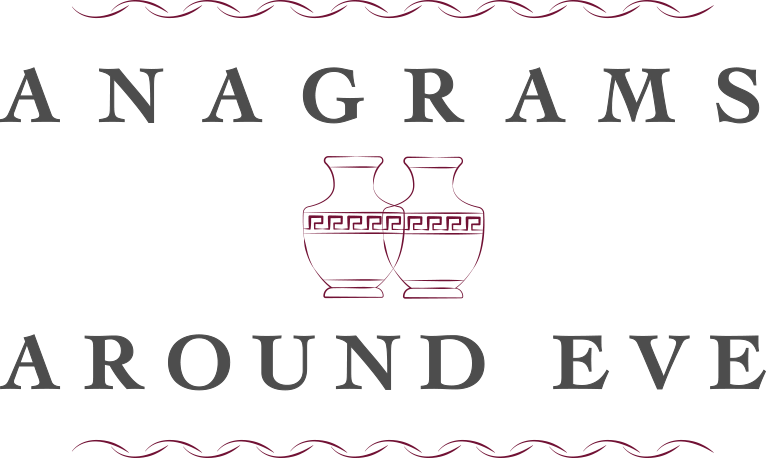 Enter your email address to follow Anagrams Around Eve and receive notifications of new posts by email.